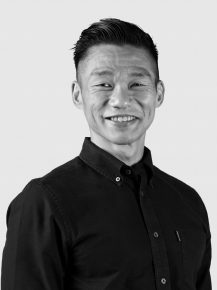 Paul brings over 18 years of leadership experience, pioneering integrated marketing in Singapore by setting up ADinc.com (Advertising and Digital) in 2000, which was subsequently bought out by AKQA. He then joined XM Asia where he held leadership positions for nine years, becoming APAC CEO in 2011 where he helped grow a single market agency into one that is now present in Malaysia, Thailand, Vietnam, Indonesia and Hong Kong as Mirum. Paul now is our CEO for Singapore, Malaysia and Hong Kong to create hyperbundled MullenLowe Group Southeast Asia. The hyperbundled agency will unite the MullenLowe creative communications business with MullenLowe Profero’s renowned tech expertise, MullenLowe Mediahub media planning, and the newly acquired corporate PR capability of MullenLowe salt, across the three markets. He was awarded as Rising Star under 35 Marketing Magazine in 2009, and Top 40 Under 40 in CampaignAsia 2013. He is one of the five Singaporeans that caved in the world’s biggest cave, Son Doong, Vietnam. Paul is a rugby fanatic. He has a weakness for the All Blacks and thinks they are the greatest sporting team in the World.